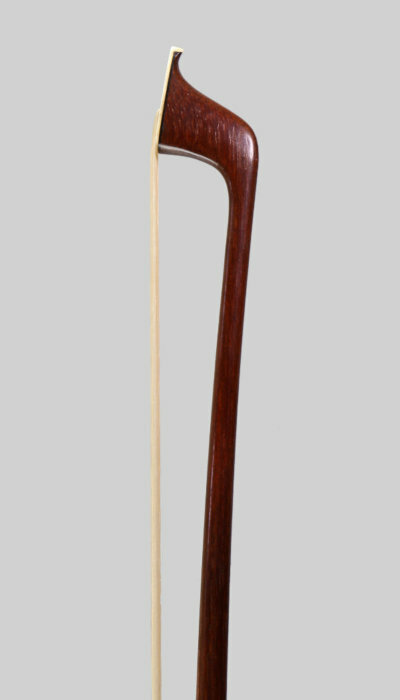 Weight and Total Length Weight 59 grams, Length 74.6 cm. 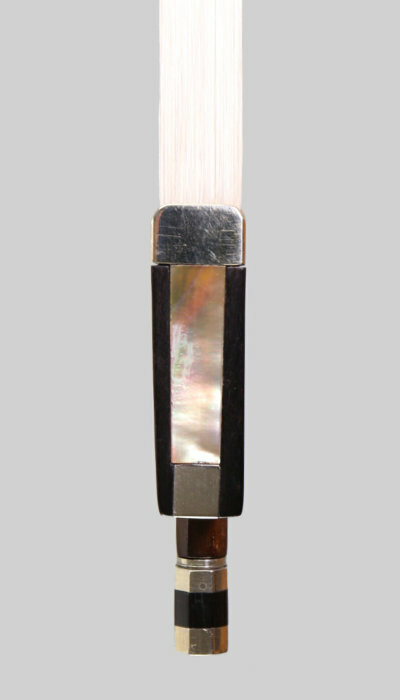 Balance point from tip of winder - 275 mm. 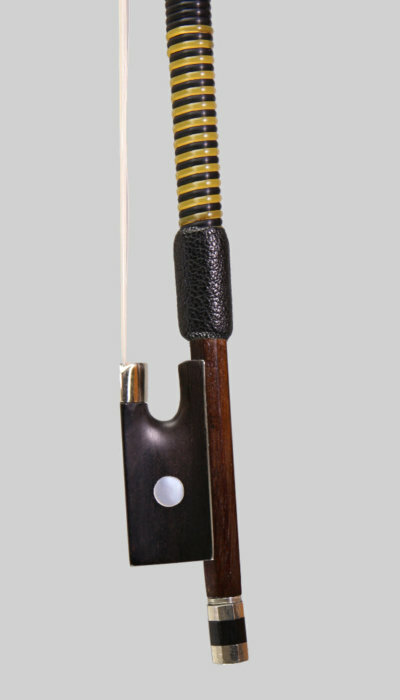 An excellent nickel mounted slim pernambuco bow by Charles Nicolas Bazin. In very good condition with just minor blemishes, Finished in a plum brown patina. Circa 1880. Another fine example of the work of Charles Nicolas. Excellent value for a C.N.Bazin!